There are bad guys, then there are very bad guys…. Theatre of the absurd? Could be. 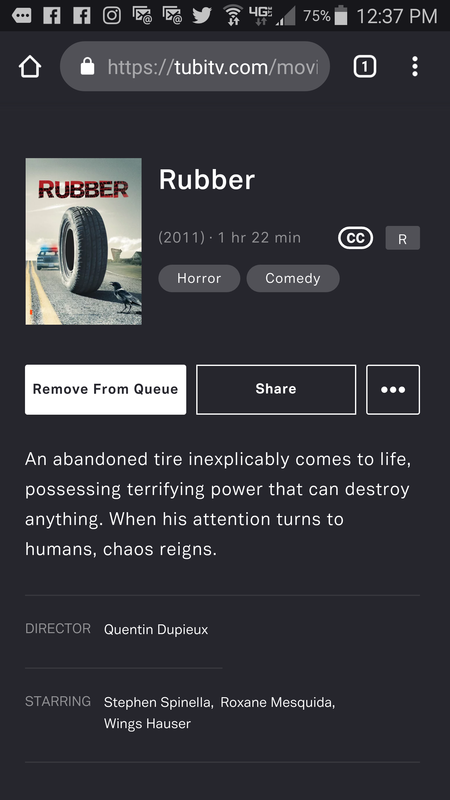 I #amwatching #Rubber on #Tubi. Flight, fight or freeze…that is what the mind looks for, and as there are no real moment physical dangers, it has invented something else to worry about. So unless someone is running at you with a large sword, ignore you fears they’re all in the mind, the one you control.